Event: A fast-paced series of demonstrations on chemical and physical phenomena that will involve you and your young scientists mentally and at times, physically! 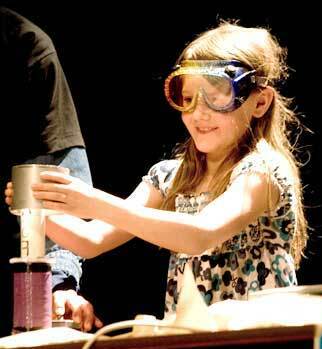 Wonders of Science is an annual program provided by the Office of Education and Public Outreach at Fermilab. Each family with at least one child will receive a kit of materials that will enable them to continue their science explorations at home or in the classroom. Audience: Recommended for families with children ages 7 through 12. Children must be accompanied by an adult with at least 1 adult per 5 children. Registration information will be available mid-December 2019. Check back for updates!